Republic holds the patents on the most innovative elements in today’s shredders. Our success at Republic Machine is based on 100 years of innovation and sound engineering. 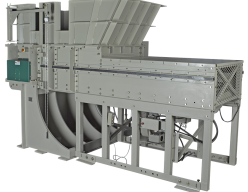 Using our 3-D CAD capability and keeping productivity, reliability, and maintainability in the forefront, we’ve rapidly introduced innovation after innovation to the industrial shredder market. 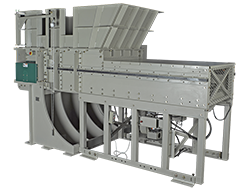 We’ve improved cutting, product feed, power train, and control systems to give our customers the highest return on investment in the industry. And we aren’t done yet. 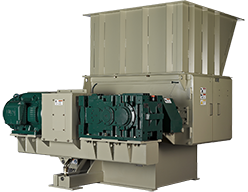 Our patented modular Split-A-Part shredder is setting a new standard for efficiency. 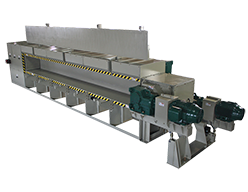 Our Zoidal cutting system will change the face of carpet recycling. 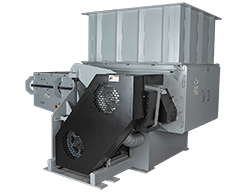 Our single-shaft shredders and grinders are manufactured to be “Republic Tough” in Louisville, Kentucky. We then put them to work in the carpet recycling, waste-to-energy, medical waste, and plastic recycling markets throughout North America.